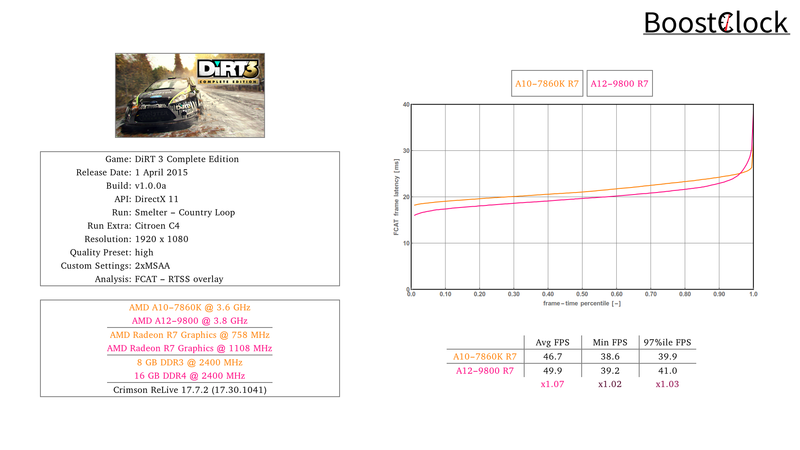 How much faster is the A12-9800 on the twisty rallycross tracks of DiRT 3? 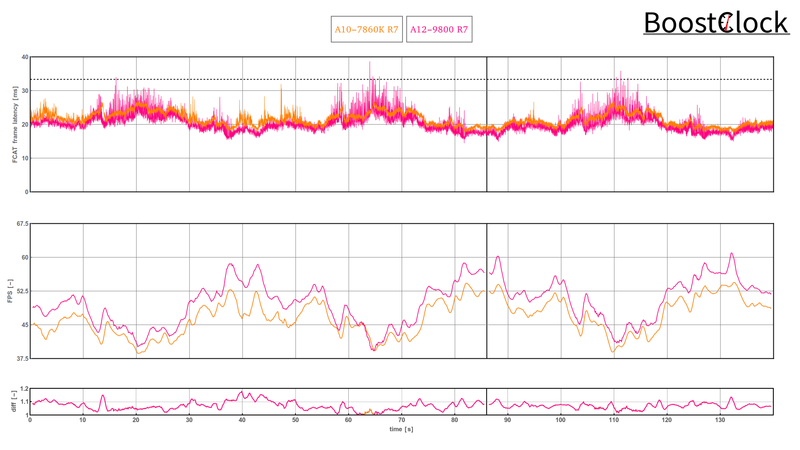 To benchmark the game we complete a 3-lap race around Smelter in 1080p with high quality preset. It's interesting to note that the older DiRT game is perfectly playable in 1080p and high preset, whereas we had to settle for medium settings and 720p for the latest rally game from Codemasters to maintain a steady frame rate. With these settings, DiRT 3 looks a lot crisper and the additional eye-candy doesn't really add to the experience in DiRT 4. The A12 APU exhibits some stuttering when racing in the dust of other cards, in comparison, the older Kaveri doesn't suffer from the same effect. All-in-all, the BR system scores 7% higher average but the smoothness is still better on the older architecture.